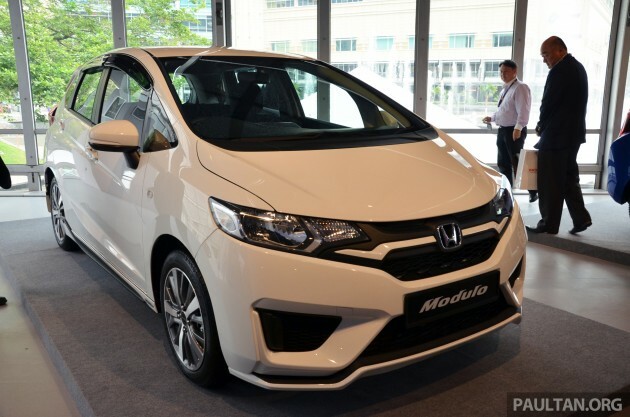 Honda Malaysia has announced on its website that the Honda Jazz and Honda City have been qualified as Energy Efficient Vehicles (EEV). Both of them belong to the 1,001-1,250 kg category, and undercut the corresponding 6.0 litres per 100 km required for EEV classification, with a quoted 5.8 litres per 100 km (see table below). Under the latest revision of the National Automotive Policy (NAP 2014), carmakers that manufacture EEVs locally are granted “customised incentives” that include grants and tax breaks, which can lead to lower prices for the consumer. 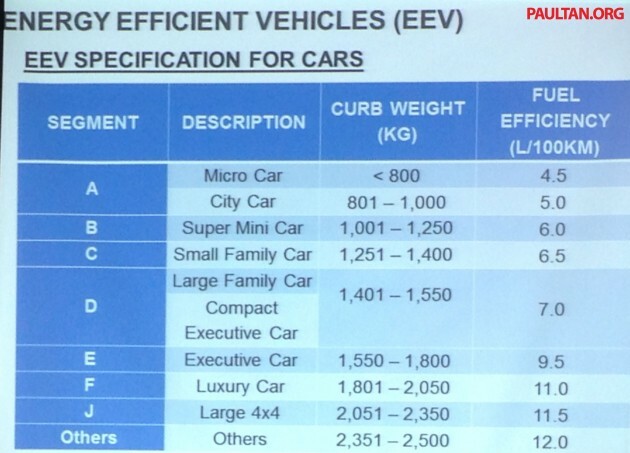 However, Honda Malaysia has told us that there are no changes to the retail prices for the Jazz and City, and that their pricing already takes into account the EEV incentives. In its simplest form, the EEV is defined as a vehicle that meets or betters a set fuel consumption figure for its kerb weight, regardless of its method of propulsion or engine displacement. If a carmaker builds its EEV(s) locally and wishes to take advantage of the incentives, it has to apply for EEV certification from the government, much like Thailand’s Eco Car programme. It should be noted that hybrid and electric vehicles (EV) are separate from this – as long as a hybrid or EV is locally-assembled (CKD), it is completely duty-exempt, until this policy expires. Other carmakers that have either established EEV facilities in Malaysia, have been given an EEV manufacturing licence or produce vehicles that have been granted EEV status so far include Perodua (for the Axia), Great Wall (for the M4 and H6) and Mazda (for SkyActiv cars). The Ministry of International Trade and Industry (MITI) is expected to reveal more details on EEVs and EEV firms sometime soon – will we then finally know how much carmakers get in terms of EEV incentives? 86 comments | Leave a comment? Meet Honda Malaysia Racing Team’s new race-prepped duo, based on the 2014 Honda Jazz and City. They replace HMRT’s winning pair of previous-generation Jazz racers, and will compete in the 2014 Sepang 1,000 km (S1K) endurance race in December. The blue and white half-twins have been worked on since March this year, and feature special ball joints to adjust the roll centre and bump steer for better handling around the track. Both have had its internals stripped out, of course, and now weigh just 1,030 kg in race trim. With team director Akkbar Danial leading the charge, HMRT will field returning drivers Eddie Lew, Aaron Lim (2013 S1K overall winners) and Farriz Fauzy in the new cars. The fourth driver will be announced soon. 44 comments | Leave a comment? Thanks to our comprehensive launch report, test drive report and old car versus new car gallery, the bases have all been pretty much covered with regards to the 2014 Honda Jazz. But since words and static pictures can only tell you so much, we don’t stop there. The third-gen B-segment hatch may have just missed the train bound for Driven Web Series station this time, but not to be outdone, we capture it in another walk-around video. Here, we dissect the range-topping Grade V, showing and demonstrating the stand-out features – including the Ultra Seats and MirrorLink HDMI – which make it a contender that’s hard to ignore. Is it truly “everybody’s kind of car”? Enjoy watching, and don’t forget to subscribe to our Youtube channel for more videos! 55 comments | Leave a comment? When it comes to illustrating just how much a new model has changed, we know few methods can beat lining it up alongside its immediate predecessor. So we decided to give the privilege of our New vs Old comparison gallery to the rule book-rewriter that is the popular Honda Jazz. Launched in July merely a year after the introduction of the locally-assembled (CKD) facelifted second-gen Jazz petrol, the new third-gen 2014 Jazz is evidently a major departure, looks wise. Ignore the old car’s ‘floating’ bumpers and fog lamps bestowed upon it by the optional Modulo kit; you can clearly see the new car has adopted quite an attitude through its edgier and more aggressive styling – a wonderful contrast to the old car’s rounder and cutesier appearance overall. This new V grade car rides on 16-inch alloys; the old car wears 15s. The new Jazz hasn’t gotten any wider or taller than the old one, but it’s longer – by 55 mm in overall length and 30 mm in wheelbase. This translates to more room for occupants as well as luggage. Boot volume with all seats up is now 363 litres; a notable increase from the previous 337. Under the bonnet resides the same 1.5 litre SOHC i-VTEC four-cylinder petrol engine that develops 120 PS and 145 Nm of torque. Max power is made at the same 6,600 rpm, but max torque now arrives 200 rpm lower at 4,600 rpm. Also, as in the Honda City, the old Jazz’s five-speed auto has made way for an ‘Earth Dreams’ CVT. Throw in lower kerb weights across the board (old car 1,110 kg, new car 1,067-1,088 kg depending on variant) and it’s not difficult to see how Honda can tout an improved fuel economy of 17.8 km per litre. So the new car has rear drum brakes as opposed to the old car’s all-round discs, but the upshots more than compensate for that. Where the previous car had only one spec to choose from since local assembly began (Hybrid aside) – which sits roughly between the new car’s base S and middle E grades in terms of equipment – the new Jazz has three variants. And there’s so much more standard kit as well as options, which include navigation and a Mugen kit for the first time. Still need more evidence of the ‘newness’ of the 2014 Honda Jazz? Just step aboard. The dashboard is altogether more upmarket, more contemporary and, due to the comparative absence of buttons and knobs, less fussy than the old car’s. The brilliant Ultra Seats and centre fuel tank layout are retained. The new car’s rear seats are more sculpted, with distinct side bolsters setting them apart from the old car’s flat rear bench. For the first time, our Jazz gets keyless start and entry, a touch-screen with HDMI and touch-panel auto air-con, amongst others – although of course you’ll find these only on higher-spec cars. Finally, safety. An aspect in which the new Jazz shines. While the old car had two airbags whether you liked it or not, the new V grade car has six airbags and hill start assist. Although the new S grade car is actually worse for wear here than the old car, having no VSA. ASEAN NCAP recently tested the new Jazz (equipped with VSA) and rated the six-airbag variant five stars and the two-airbag variant four stars. 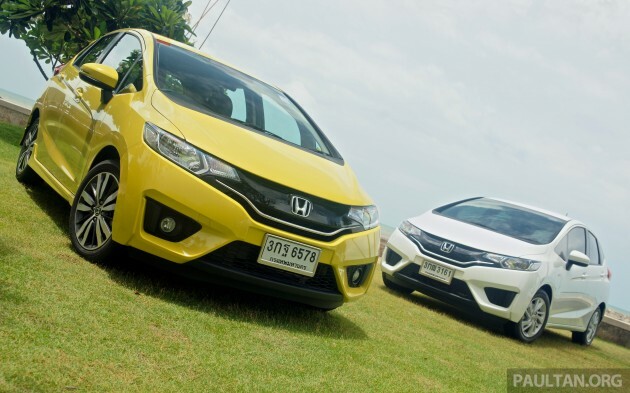 Learn more about the 2014 Honda Jazz through our comprehensive launch report, interview with Jazz Assistant Large Project Leader Daisuke Uragami, and test drive report from Hua Hin, Thailand. The Jazz wasn’t launched in time for Driven Web Series 2014, but we featured its sedan sister in Episode 1. Also, compare the Jazz with rivals such as the VW Polo, Suzuki Swift, Ford Fiesta and Kia Rio via CarBase.my‘s car comparison feature. 75 comments | Leave a comment? 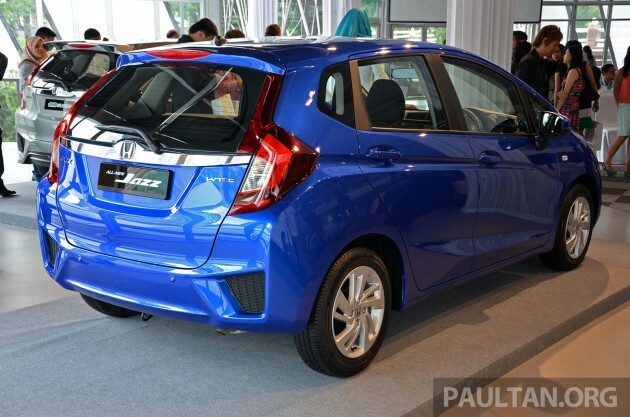 Here are two videos of the 2014 Honda Jazz, launched in Malaysia last week. They are official ads for the new Jazz by Honda Malaysia, and one is a longer version showing the B-segment hatchback’s notable features. Check Jazz Town out to see if you agree that “it’s everybody’s kind of car”. The new Jazz is powered by a 1.5 litre SOHC i-VTEC engine developing 120 PS at 6,600 rpm and 145 Nm of torque at 4,600 rpm, mated to an ‘Earth Dreams’ CVT gearbox, the same drivetrain combo found in the City sedan. Claimed fuel consumption is 17.81 km/l. The new car is 55 mm longer than its already-roomy predecessor at 3,955 mm. The wheelbase has been extended 30 mm to 2,530 (70 mm less than the City). Width and height maintain status quo at 1,695 and 1,524 mm respectively. Boot volume is now 363 litres instead of the previous 337 (all seats up). The model’s signature rear Ultra Seats are present, of course. Apart from folding flat, the seat bases can also be lifted up to make space for tall items. The front seats can also be reclined flat. 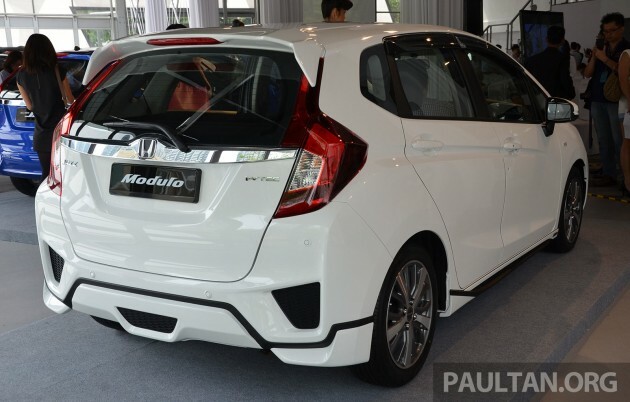 Locally-assembled at Honda Malaysia’s No.2 Line at its Pegoh plant in Melaka, the 2014 Honda Jazz is priced, OTR with insurance, as follows: S RM72,800, E RM79,800 and V RM87,800. Modulo and Mugen kits are officially available, too. Full details and specs can be found in our comprehensive Honda Jazz launch report. We also had a chat with the car’s Assistant Large Project Leader, Daisuke Uragami, and gave the hatchback a preview spin in Hua Hin, Thailand. The Jazz wasn’t launched in time for Driven Web Series 2014, but we featured its sedan sister in Episode 1. There’s more. You can also compare the Honda with rivals such as the VW Polo, Suzuki Swift, Ford Fiesta and Kia Rio via CarBase.my‘s car comparison feature. Want to read in Bahasa Malaysia instead? Launch report by our sister site infokereta.com is here. 34 comments | Leave a comment? 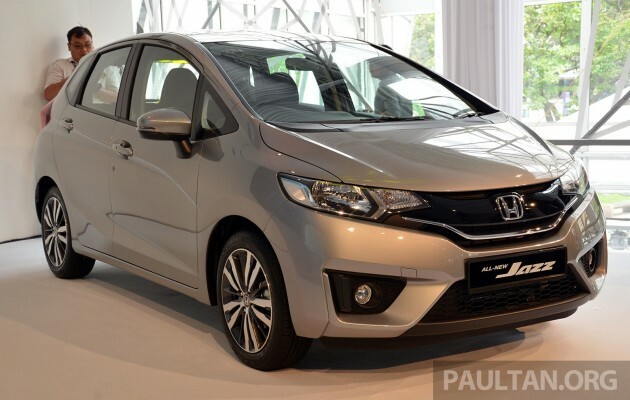 The recently-launched third-generation Honda Jazz has already captured the imagination of the Malaysian public, and with good reason – sporty new looks, a cabin that’s as spacious and as flexible as ever, a fuel efficient engine and drivetrain package and competitive pricing and specifications. Do read our comprehensive launch coverage of the new supermini, browse our gallery of the optional Modulo and Mugen aerokits and check out our preview drive report if you haven’t already. Of course, as detailed as these may be, there is still much that can be learnt about the new car that cannot be gleaned from poring over a brochure. 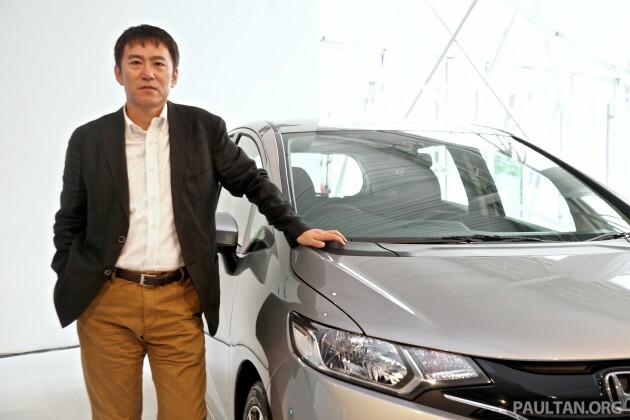 Honda Malaysia arranged an interview with Assistant Large Project Leader for the new Honda Jazz, Daisuke Uragami, for us to ask our most burning questions regarding the latest B-segment fighter. The new Jazz looks much sportier than the friendly-looking previous generation, both inside and out. Why was such a drastic change in styling made, and how has the new look been received by customers so far? If you recall, the first- and second-generation Jazz had bigger headlights, which made them look cuter. Those models were primarily designed for the Japanese market in mind, but for the third-generation model we wanted to expand its appeal to cater for broader markets. The feedback from global studies suggested that the previous faces were actually too cute and feminine, so we gave the new Jazz a more masculine image. When we first introduced the new model in Japan last year, we were a little afraid that we would alienate traditional buyers, particularly females and the older generation. However, we were surprised that we have been able to sell over 200,000 units so far in Japan, and the feedback from the customers in Japan has also been very good. 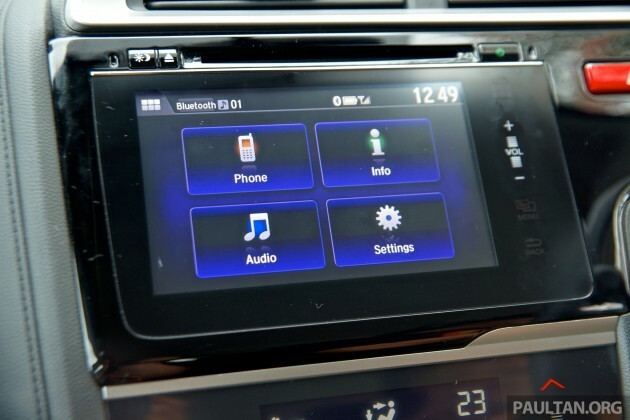 Higher-end models of the Jazz get touch controls for both the infotainment system and the climate controls. Were there any concerns regarding the functionality and the safety of such controls, and what has Honda done to address these issues? In terms of the layout of the infotainment controls, we moved all the main buttons to the right-hand side closer to the driver, so you can operate them even without looking at them while driving. The audio controls on the steering wheel also enable you to control the system without lifting your hands off the steering wheel. As far as we can tell, the new Jazz does not come with an ECON mode or cruise control for the Malaysian market. Could you share with us why these features have been removed? Were there studies done on Malaysian driving styles that led to such a decision being made? This is more to do with the position of the product in the Malaysian market. 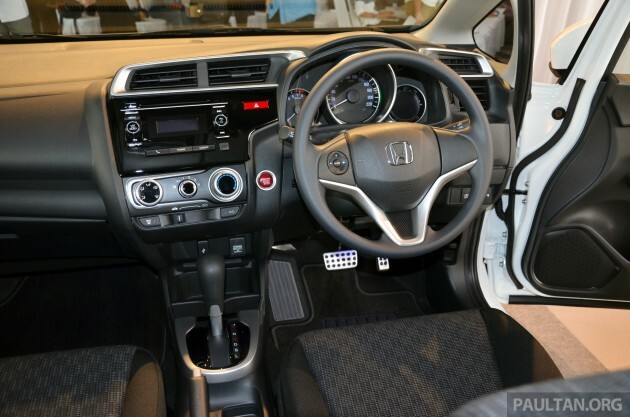 Of course, we do study the usability of the model locally, and from there we thought that the current specification of the new Jazz is the best package that we could offer for the Malaysian market. When we drove the Jazz in Thailand last month, we found that the new car rode slightly firmer and had more responsive handling than the City. Has there been any changes in suspension and/or steering tuning compared to the City? Yes, there have been changes compared to the City, a little bit on the stiffer side. Why does the ASEAN-market Jazz not get the direct-injected 1.5 litre engine that the Japanese-market model gets? Are there plans to introduce this type of engine in the ASEAN market at some point in the future? As we have said, we are looking for the best overall package in the market segment, and the current engine is the most suitable for local driving conditions. The development of the direct injection engine for each region is being carried out, but at the moment we cannot mention when exactly will we introduce the engine to the Malaysian market. The Jazz’s Ultra Seats aren’t available on the rest of Honda’s products. The City doesn’t have them, and neither does the Vezel. Is there a reason why they are exclusive to the Jazz? The Ultra Seats require requires the fuel tank to be positioned in the centre of the car, something only the Jazz has. The new Jazz has a few accessory packages such as aerokits available as cost options. How crucial do you think they will be for the car’s sales? The Jazz has been very popular among the younger generation who liked to soup up their cars, and there were a lot of aftermarket parts to cater for these people, and we felt it was a lost opportunity [that we did not sell any tuning parts]. This time around, we are offering a Modulo kit as well as a Mugen kit for the first time, and while they may not be cheap, they are approved by Honda. The unique part is that these kits are part of the Jazz’s price list itself, so they can be included in the car loan. Hence, for each monthly payment, the buyer would only have to pay about RM40-RM50 more for these kits. 30 comments | Leave a comment? 45 comments | Leave a comment? 213 comments | Leave a comment? The Honda Jazz has only been part of the last 13 years of Honda’s long and illustrious history, but already it’s become a staple of the company’s product range as well as an important contributor to the company’s bottom line. Worldwide sales of the little runabout have already passed the four-million-unit mark. Look closely at the past two generations of the Jazz and it’s not hard to see why, with friendly good looks, solid reliability, great manoeuvrability around town and, of course, that ridiculously practical and versatile cabin. Like it or not, critics and consumers alike have rated the Jazz highly over the years despite the appearance of fresher, more dynamic competition. 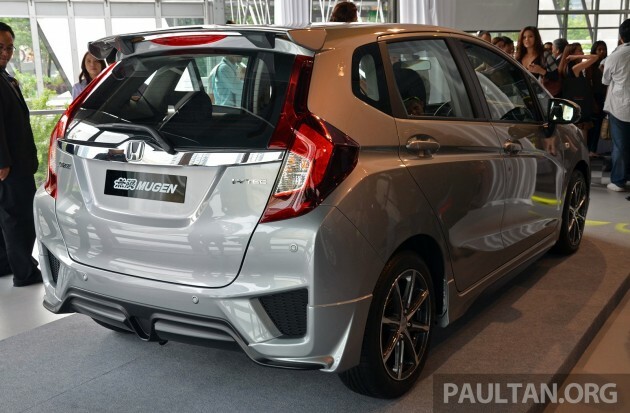 UPDATE: The new Honda Jazz is now launched in Malaysia, read our launch report. But this year, there’s a new Honda Jazz – which you can now go and book – with an aggressive, angular new look both inside and out that seems to signify a big change for the B-segment hatch. Has the house that Soichiro built messed too much with a winning formula? We trek to Hua Hin to find out. 97 comments | Leave a comment? 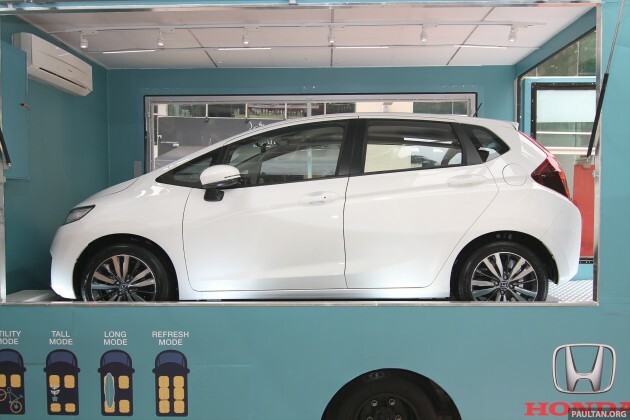 The 2014 Honda Jazz is moving about town on a mobile roadshow, being previewed ahead of its launch later this month. Bookings are open for three variants – a 1.5 S, a 1.5 E and a top-of-the-line 1.5 V. We managed to snap some photos of the Jazz when it made its stop at Jaya One today. This particular Honda Jazz did not have any badging on the rear other than the model name of the car, but Honda Malaysia says this is the range-topping 1.5 V. A look into the interior reveals airbag icons on the pillars that denotes six airbags, as well as a button to disable VSA stability control on the dashboard. 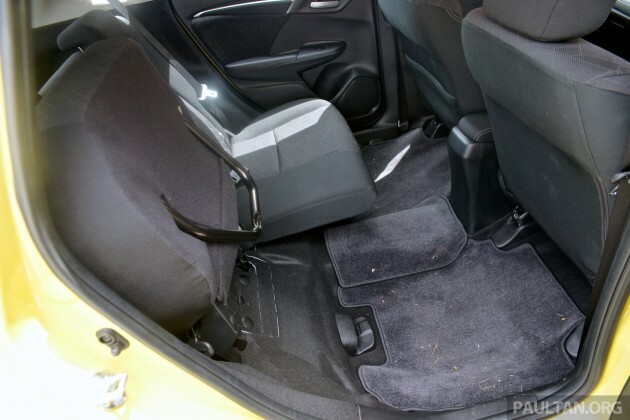 Honda brand ambassadors demonstrated the Jazz’s Ultra Seats feature during the roadshow, so we managed to snap a few photos of the seats in action. Look out for the photo of the rear seat bottom folded up to make way for a tall potted plant in the gallery. As mentioned in our earlier post, bookings made between now and July 15 will be in the running to win a trip to the Maldives, and Honda Malaysia has also arranged for 2.53% financing. If you’d like to check out the 2014 Honda Jazz in person, click here for the roadshow schedule. 66 comments | Leave a comment?